HURON, S.D. / December 4, 2018 / GENERAL AVIATION NEWS – Under new ownership, Huron Regional Airport’s sole FBO announces its new name: Fly Jet Center. 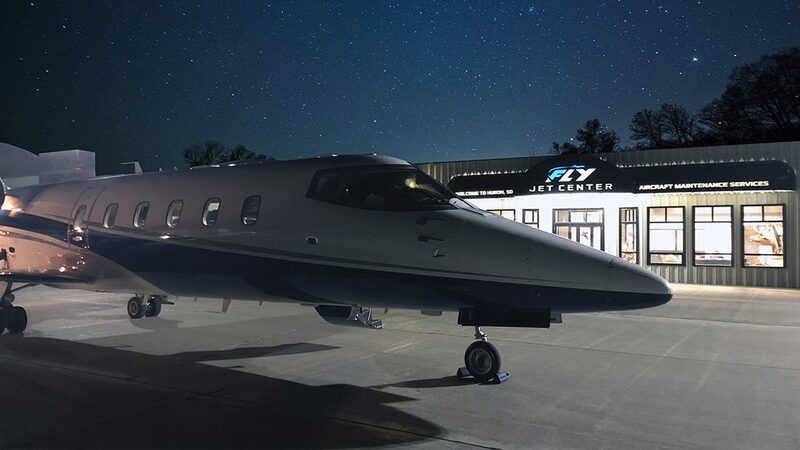 Fly Jet Center, the sole FBO at Huron Regional Airport (KHON), is dedicated to providing professional FBO services in a safe, welcoming environment. The FBO’s new ownership is taking the operation to new heights with a well-appointed facility and a dedication to customer care. As a full-service FBO, guests who choose Fly Jet Center benefit from heated hangar space, full fuel services, ground handling, quick turns, lav service, oxygen and nitrogen services, aircraft sales, car services, travel agency services, pilot services, gourmet catering, and a newly-expanded, full-service aircraft maintenance department.